In 1979, the world was introduced to Champagne Diamonds through the Argyle Diamond Mine in northeastern Australia. 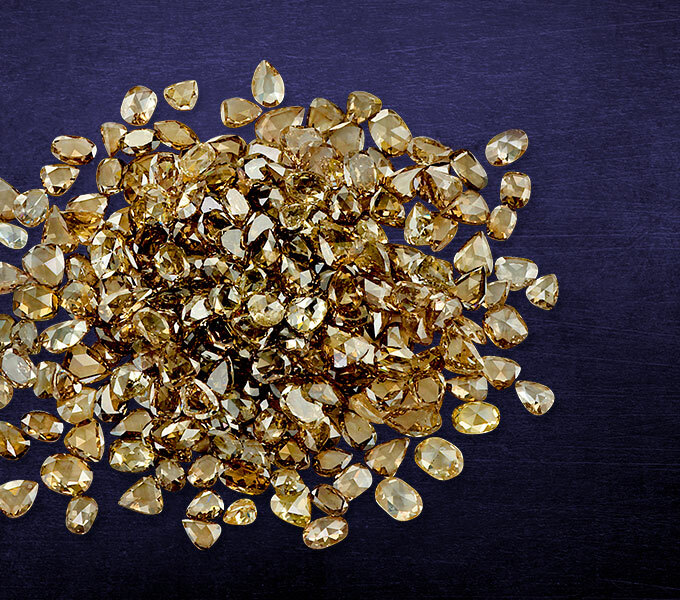 The mine has since produced diamonds that inspire fine jewelry in deep rich shades of champagne to cognac. Prijems offers a broad range of cuts including Brilliant Cuts, Fancy Cuts, Rose Cuts, and Melee. 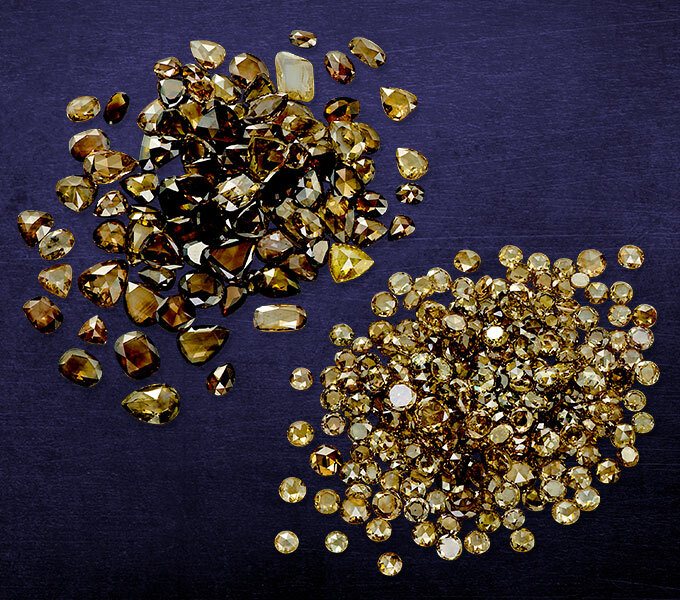 Sizes range from melee to large single stones and color from Light C1-Champagne to deep C7-Cognac.